NEW CONSTRUCTION IN NEW NEIGHBORHOOD, GREAT BRIDGE SCHOOLS. CLOSE TO INTERSTATE AND SHOPPING. DOWNSTAIRS MASTER BEDROOM, FIREPLACE, SS APPLIANCES, GRANITE KITCHEN, 30 YEAR ARCH. SHINGLES. NO HOA FEES. O/A. Ready to visit 1236 MADELINE RYAN? Request a free property tour! Send me more information about the listing at 1236 MADELINE RYAN, Chesapeake, VA 23322, MLS# 10139927. This 5 bedroom, 4 bathroom home located at 1236 MADELINE RYAN, Chesapeake, VA 23322 has approximately 2,900 square feet. It is currently listed for $454,000 and has a price per sqft of $15,655. This home is currently Off Market under the MLS#: 10139927. This listing is provided by Wainwright Real Estate. 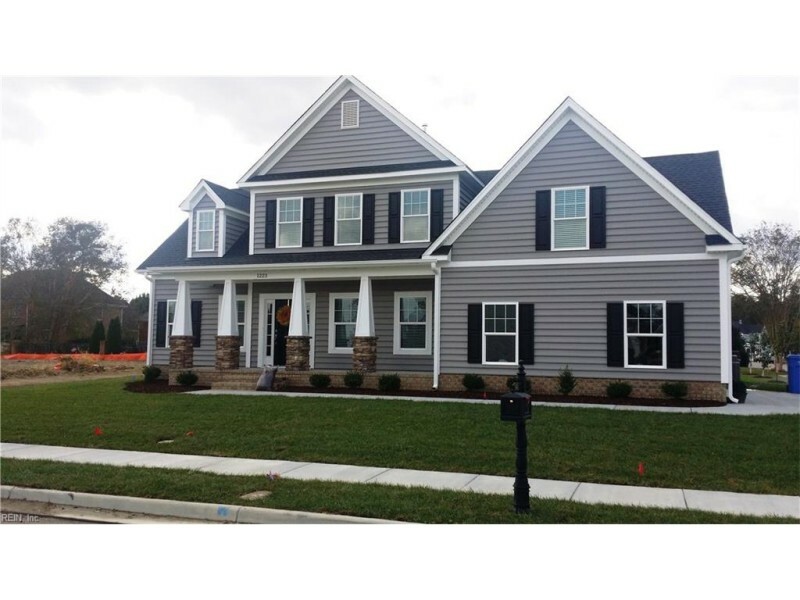 1236 MADELINE RYAN Way, Chesapeake was built in 2017. It has Multi Car, Driveway Spc, Street parking.The kitchen includes Dishwasher, Dryer Hookup, Microwave, Range, Refrigerator, Washer Hookup. 1236 MADELINE RYAN is part of the Hanbury Manor neighborhood located in 23322.